The Tennessee Veterans Business Association is proud to announce Lt. 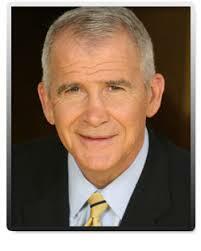 Colonel Oliver North as its Keynote Speaker for the 8th Annual TVBA Keynote Dinner in January. North is a combat decorated U.S. Marine, best-selling author, syndicated columnist, former host of Fox News Channel’s “War Stories” and currently serves as President for the National Rifle Association. “There is not one better way to celebrate an evening dedicated to our nation’s veterans than to have one of America’s finest, Oliver North, address the crowd at our Keynote Dinner,” TVBA President Dr. Eric W. Barton said. North served 22 years as a Marine officer. He served as a platoon commander during the Vietnam War, where he was awarded the Silver Star, the Bronze Star for valor and two Purple Hearts for wounds in action. From 1981-1986, North served as deputy director for political-military affairs at the National Security Council, where he led the hunt for those responsible for the 1983 Beirut bombing that killed 299 American and French military personnel. Since 2001, he has been the host of “War Stories” – the award-winning military documentary series on Fox News Channel – and has been embed with more than 55 U.S. and allied combat units. North has authored 13 books, all of which have been New York Times best sellers. His latest, Heroes Proved is a gripping tale of intrigue and duplicity at the highest levels of the U.S. Government. TVBA’s Keynote Dinner will be held 6:30-9 p.m., Monday, January 28th at the Knoxville Convention Center. Tickets are $125 each or $1,250 per table of 10. Become a Veteran Table Sponsor for $1,250 and gift one table of 10 seats to the Keynote Dinner to veterans or a veteran organization of your choosing. Veteran Table Sponsors will also receive two tickets to a private sponsor’s reception at The Villa Collina, featuring Entertainment by Lee Greenwood, and their company logo on all event marketing material. To purchase dinner tickets or to become a sponsor, visit GoTVBA.com.